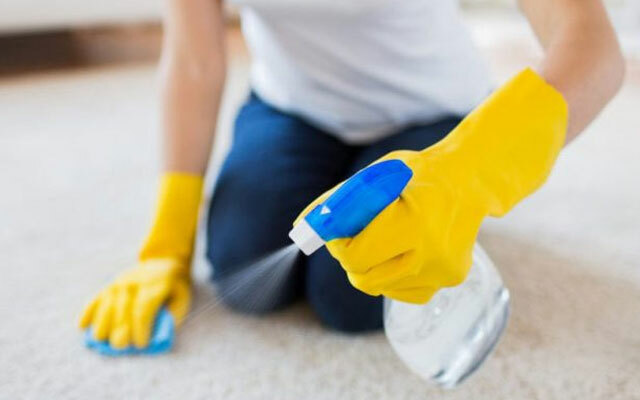 Professional Carpet Cleaning Oakville is something that every homeowner must make part of their regular cleaning routine. Over time dirt and other debris can trapped deep in carpets, rugs and upholstery. However, most people will simply vacuum their floors or rent a carpet cleaner machine from a grocery or local rental store. These machines do they tend to be older and not kept well maintained. As such, they will not do as through a job as a professional carpet cleaning service. Comfort Clean is one of the largest professional Oakville carpet cleaning companies. We have provided business and homes alike with professional carpet and rug cleaning for years and our reputation speaks for itself. If you are due for a quality carpet cleaning, call us for a free quote. We offer the lowest rates and the best service Oakville. You can count on us for quality service from start to finish. In additional to professional carpet cleaning, we also provide rug cleaning in Oakville. This includes area rugs, fringe rugs and throw rugs. We provide both pickup and delivery service for rug cleaning in Oakville and the surrounding area. Or if it’s more convenient for you, you can drop off your rugs at our facility, and we will return them to you looking better than new. Call us today to schedule a pickup. If you have water damaged carpets from flooding, plumbing issues or other such water damage, you are aware of the damage can do to your carpets. It can leave behind a foul and unpleasant musty smell that lingers. Water danger should be dealt with as soon as possible We will work quickly to remove all sings of water damage from your carpets. Carpet Cleaning in Oakville can help keep your home healthy and clean. As you well know, your carpets see a lot of wear and tear. Think of all the visitors you have in your home that bring in dirt from the outside. Not to mention, foot traffic from everyday use, as well as children and pets. Spills, pet hair, mud and dirt can all wreak havoc to your beautiful carpeting. Over time, all of this dirt and debris gets embedded deeply into the fibers of your carpets. This dirt can then release harmful allergens that leave behind a nasty and musty odor that can cause health issues for those who suffer from allergies or other breathing concerns. Vacuuming alone does not remove these allergens, but professional deep carpet cleaning by an expert team with standard of the art equipment can provide exceptional cleaning. Not only that, but dirty carpets can make your otherwise clean home look messy. Stubborn stains and spots are often hard to remove without the aid of quality cleaning equipment. We have the latest technology and can safely remove even the most stubborn stains from your carpet. We provide quality and professional carpet cleaning by our highly trained cleaning team. We will treat your home or business as if it were our own. We use state-of-the-art carpet cleaning equipment and eco-friendly cleaning products to deep clean your carpets, so they look like new. All of our cleaning products and equipment is safe for pets and children so safety is not an issue. We provide cost-effective, fast and quality service at a rate that won’t break your budget. As well, we are known for our excellent customer service and outstanding reputation. Call Comfort Clean today for a free quote for rug and carpet cleaning Oakville. Where you are doing Spring cleaning or preparing your home for a big event, we will make your carpets look and smell brand new! Call us today for a free consultation and quote!